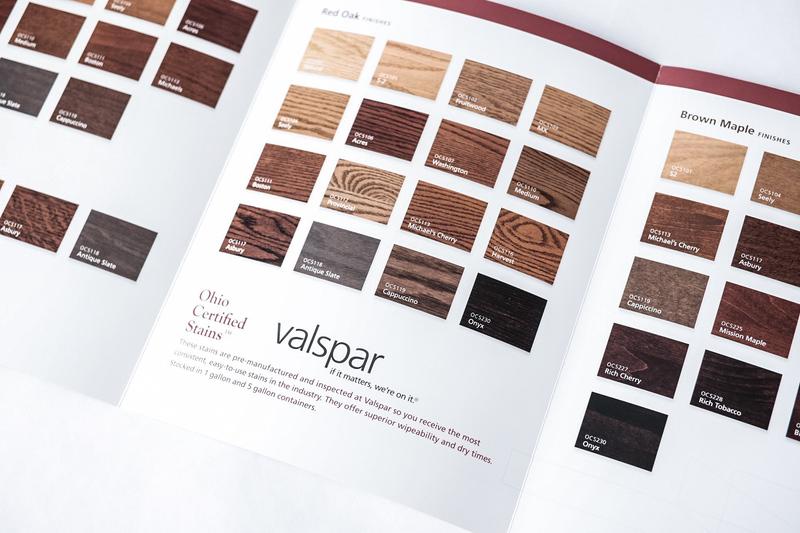 Cassel Bear was privileged to work with the national brand, Valspar, when they began to partner with one of our local clients. 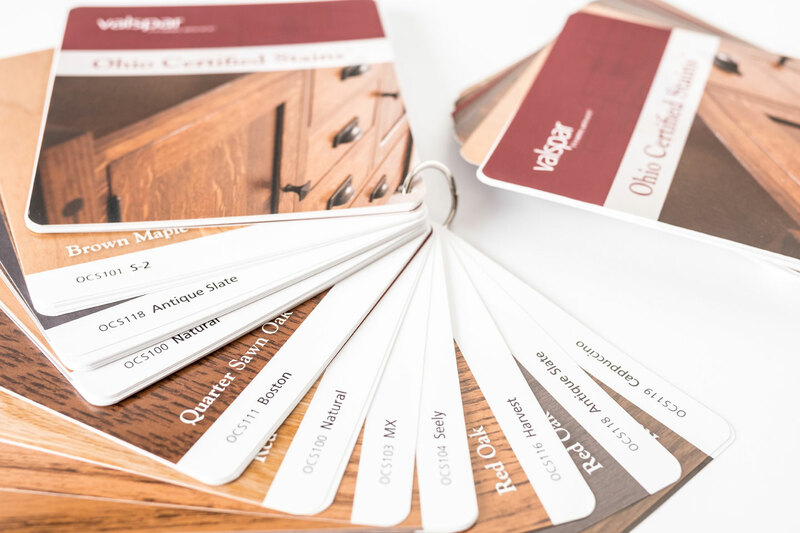 Keim Lumber carries Valspar’s version of the Ohio Certified Stains, a set of 45 wood stains used by builders across the furniture-making industry. The OCS products ensure (for customers) that a piece they buy from one builder will match another piece that they love from a second builder. Color match and an accurate reflection of these stains are critical, so designing this trade show piece meant lots of back and forth with the client on photography, print proofs, and paper choice to arrive at the best final version. 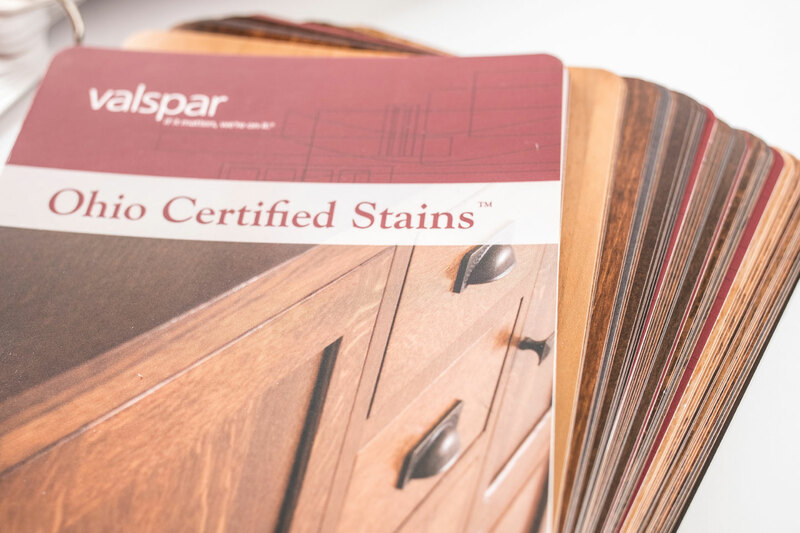 For years, furniture manufacturers in Holmes County, Ohio, purchased stains from different suppliers, hoping to give their retailers multiple options. The only issue? With so many varying stains, it became difficult for end customers to match pieces coming from different shops; it was impossible to ensure that they’d look good together. And so, the idea of creating a set of certified stains was born. 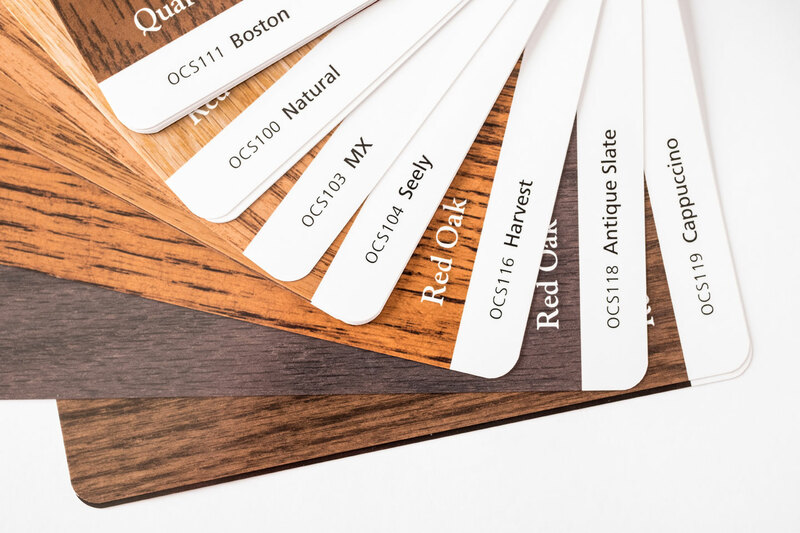 The builders and local retailers identified the most popular shades, gave stain suppliers master samples, and began holding them accountable to replicate them. 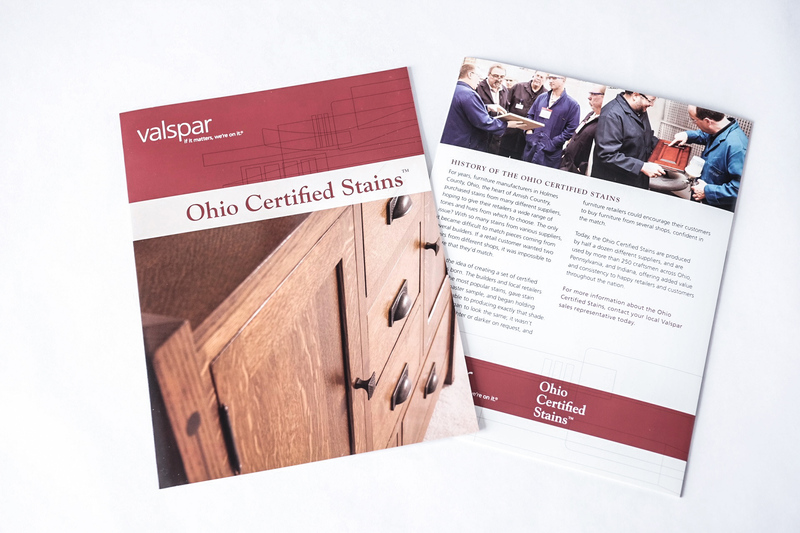 Today, the Ohio Certified Stains are used by more than 250 craftsmen across Ohio, Pennsylvania, and Indiana, and are produced by half a dozen different suppliers. 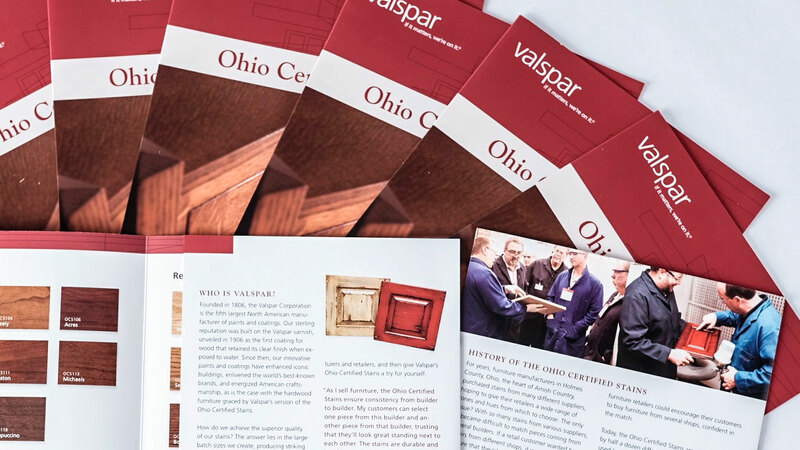 Valspar is one of those suppliers, and their Ohio Certified Stains are carried locally by Keim Lumber, who came to Cassel Bear asking for a swatch book to use on the sales floor. The sample swatches show how each of the stains appear on four different species of wood. As such, in addition to crafting a compact, portable and easy-to-understand design, Cassel Bear spent lots of time working through photography and color treating with a custom printer to achieve authenticity and accuracy.